With the launch of new Macbook Air equipped with retina display, the long-cherished dream of watching high-quality video on Mac is finally realized. For the convenience of playing HD/2K/4K videos offline on the 13.3-inch retina Macbook Air and experience the unparalleled high definition experience, this page shares the detailed guide to download YouTube on MacBook Air. And the task is as simple as pie if you own a functional video processing software. 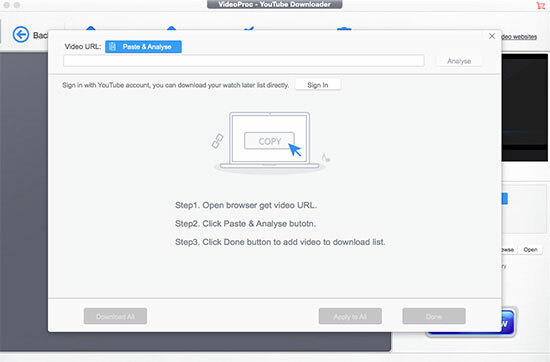 10 Seconds only to Get a 5-min YouTube Video Downloaded on Mac! MacX Video Converter Pro - With unique Level-3 GPU acceleration tech, it delivers No.1 fast speed to free download YouTube 4K videos, music, HD movies, and other clips to MacBook Air in MP4/WebM/3GP/FLV, and makes it easy to convert the YouTube videos to MOV, M4V or other formats your QuickTime accepts. No virus! Before exploring how to download YouTube on MacBook Air, let's start with the new Retina MacBook Air. 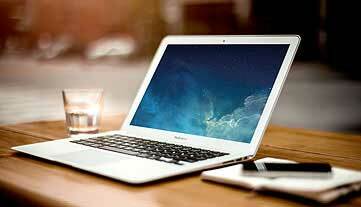 Since the first model in 2008, MacBook Air has been develpoed in a rapid manner, with a larger 13-inch size, thinner design, sharper and clearer screen, better audio, etc. Now the new 13.3-inch MacBook Air is both lighter and thinner, featuring LED-backlit retina display, 1.6GHz dual-core Intel Core i5 processor, 2.75 pounds, all making it great to play high-quality movies thereon. Because of the portability and stunning viewing experience of the new Retina MacBook Air, a majority of people are eager to w play DVD movies and videos on Macbook when they plan to go out for travel. Chances are some places might be lack of internet connection which may lead to YouTube playback failure. It's wiser to download YouTube on MacBook Air in advance for later offline playback. Compared with some browser built-in plug-ins, the third party YouTube video downloading tool is more worthy of choice. Because some adware or malware will be installed inadvertently and damage your new macOS operating system when you download the plug-ins. Armed with the advanced Intel QSV/Nvidia/AMD GPU HW acceleration techs, MacX Video Converter Pro provides you with the fastest solution to free download YouTube video/movies in 4K/1080p/720p in whatever format and save them on the new Retina MacBook Air. Furthermore, it supports you to save online video, music, movies, workout video, gameplay video, and other contents from other 300+ popular video sites such as Facebook, Vimeo, Vevo, Instagram, Metacafe, Myspace. You are even allowed to transcode video to MP4, MOV, MKV, FLV, AVI, HEVC, H264 and more for playing on iPhone iPad, Android, Xbox, PS4, Microsoft, etc, by courtesy of the 420+ preset profiles. Step 1: Free download the MacBook Air video downloader. Turn to Windows version if you are a Windows user. Then click "YouTube" button, copy and paste the YouTube URL to the type box. Or click "paste & analyze" button to automatically detect the YouTube videos on the opening website page. Step 2: Choose the video format, codec, resolution and file size. Step 3: Click "Browse" to specify an output folder on your computer to save the output files in. Step 4: Hit the "Download Now" button and start the process of YouTube video/movie download process on 2017 new MacBook Air. All the tasks can be finished within a few minutes with original quality. For your reference：this versatile YouTube video processing program is able to further edit your YouTube video, like cut off unwanted commercial clips from video, crop video to remove black bars, merge YouTube videos into one, add special effects to YouTube video, stabilize shaky video, add subtitles to YouTube, etc.